Description:I got this bullet a long time ago when I lived in Virginia from Jimmy Wilson of Rebel Coins in Manassas, VA. 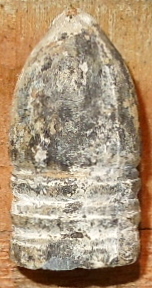 It is a nice bullet with a mottled patina. 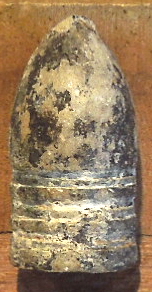 This is a Georgia Troops teat base bullet made in a mold that had its ring grooves re-worked. 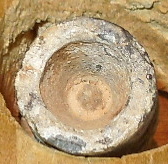 These double rings provided for the name " bullet "6 ring"